Very rarely is there an opportunity against opposition of such calibre to play with complete and utter freedom. Of course, like any game, there is a pressure to perform and in this particular instance, there is a quarter-final place in the FA Cup on the line. However, we have seen over the past two games how this Town squad has reacted to David Wagner loosening the shackles. The response has been extremely positive. The team has played with a purpose and vigour which has been absent in recent months, the result of this being two victories and eight goals scored in the process. The true test, however, comes today. Town’s opponent is a wounded and possibly depleted Manchester United side, with one eye on the Champions League. My attention will be on Wagner and the approach his side takes to the game, rather than Jose Mourinho’s men. We could see Town return to the cautious containment tactics that Wagner has utilised against the ‘top 6’ since Harry Kane and Tottenham Hotspur took Town apart. However, with the circumstances surrounding the game offering a certain degree of pressureless freedom, it is a game to leave the shackles off. Instead of dropping onto the back foot, I hope to see Town carry the confidence, intensity and purpose of Town’s recent games into a game of this magnitude. 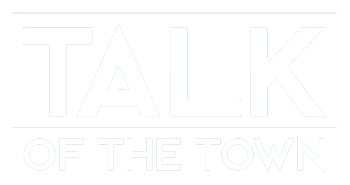 It may be a difficult task but rather than sacrificing that momentum by reverting to containment, I would prefer to see Town carry on the momentum in a positive manner, even if it resulted in defeat. Over the course of this season, Town have struggled to transition from the positive front foot football of the early season form to the cautious back foot containment tactics of recent months. In spite of this struggle to transition recently, we have seen that when offered the opportunity to play with freedom, this Town side have seized that opportunity with both hands. Today is another opportunity to do so… on the biggest stage.